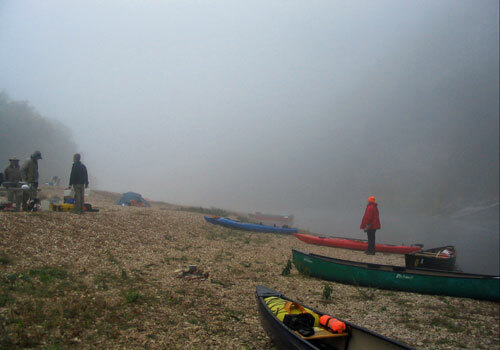 “What sets a canoeing expedition apart is that it purifies you more rapidly and inescapably than any other. Travel a thousand miles by train and you are a brute; pedal five hundred on a bicycle and you remain basically a bourgeois; paddle a hundred in a canoe and you are already a child of nature.” — Pierre Trudeau, P.M.
A wilderness trip in a canoe is a privilege few people experience in their lifetimes. 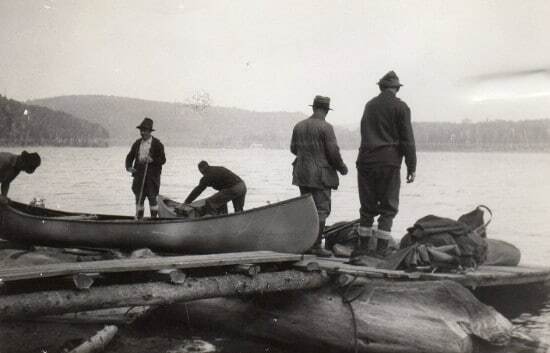 Last year 22,000,000 people reportedly paddled a canoe. Perhaps only a few thousand took a wilderness trip longer than a few weeks. It’s pretty easy to see why: we all have too little vacation and too much to do. The average canoe trip 20 years ago was nine days. Today it’s three. Clearly, our priorities are screwed up. 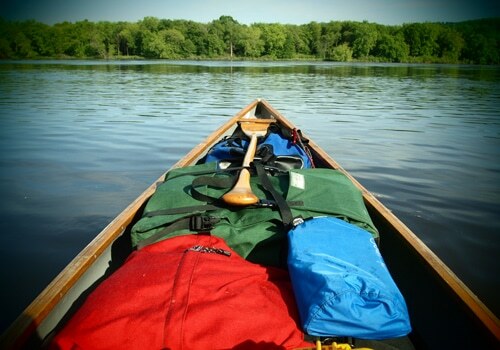 Should you dream of a wilderness canoe trip, here are a few suggestions. Included is an epic adventure that is well-known to the wilderness paddler, a beautiful and remote yet accessible voyage, and a couple trips suitable for a beginning paddler. All are awesome; some are just more awesome than others. I’ve tried to be fair geographically and spread it out a little. 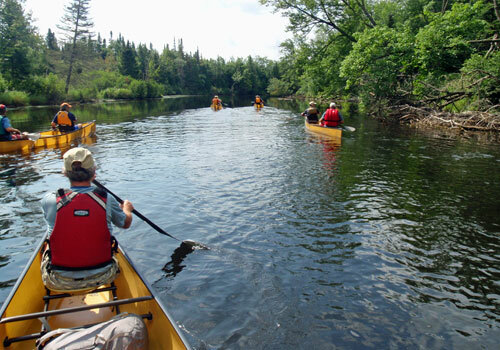 This 740-mile water trail runs from Old Forge, New York in the Adirondacks to Fort Kent, Maine. It’s a recently completed trail and sets the standard for how things should be done to create such resources. A coalition of public and private stakeholders worked it out and agreed on how to make this trail work from start to finish. It started when private land owners collaborated with public entities, power companies, and other interested parties to create a continuous trail. 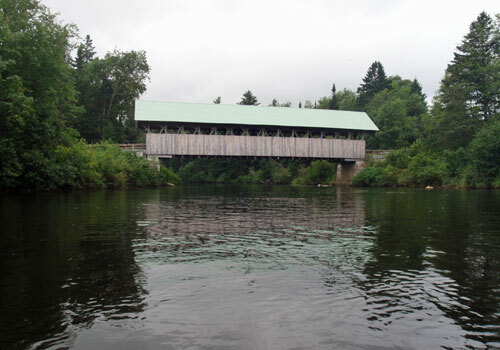 It passes through numerous little towns, and includes a wide variety of different waters. Large, clear lakes like Rangeley and Umbagog contain lovely bays and small inlets. Little stretches of mild whitewater run to connect the lakes. 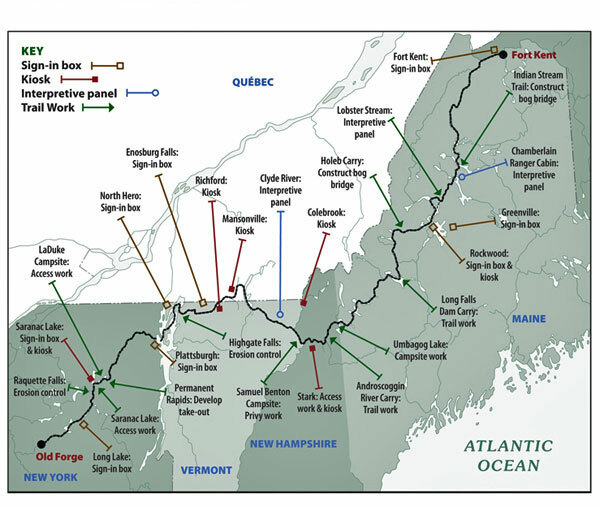 There are large rivers like the Androscoggin that run from Maine and into New Hampshire. 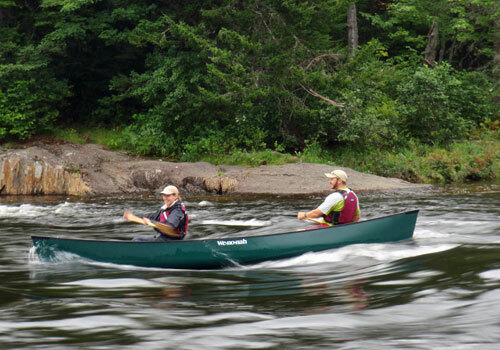 You’ll experience flat water for long stretches, punctuated by Class II (and a few III) rapids. 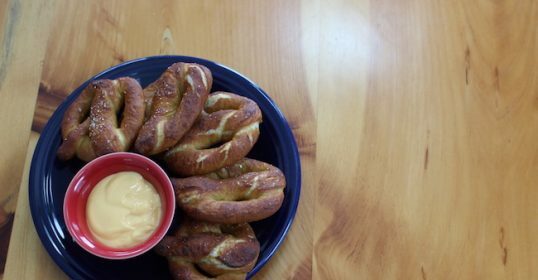 In other words, a perfect combination. Bugs can be a problem in wet seasons, but it varies wildly based on your area. Northern Maine in the spring has an almost palpable hum from the mosquitos. Here you’ll want headnets and other bug-proofing materials. Now this is not strictly a wilderness trip. Because there are some public lands, there are a few old cabins along the shore of some of the lakes, and the rivers have dams that one must carry around. 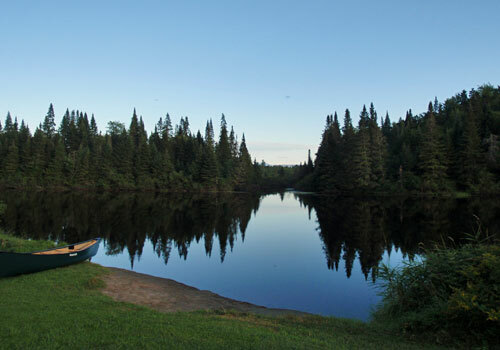 But for a first-time canoe wilderness trip, it’s one of the best places to start. Periodically you’ll be reminded that you’re in New England, as you pass under covered bridges and near small towns where the steeples of white churches predominate from river level. Reminders that parts of this route are not truly wilderness, but gorgeous just the same. Several paddlers have “through-paddled” the entire trail. If you’re new to paddling expeditions, this is a good place to cut your teeth. Located on the boundary (get it?) 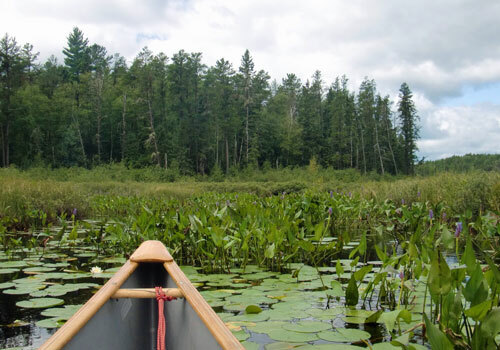 between the United States and Canada in northern Minnesota, this 1.1 million acre wilderness area is a great resource. It butts up against Quetico Provincial Park, separated by as little as a few hundred feet of water. I remember one trip where I told my wife, “I think I’ll swim over to Canada.” And I did. There are smaller rivers in this classic boreal region, but mostly there are lakes, and lots of them. There are over 600 in Quetico and over 1,000 in the Boundary Waters. 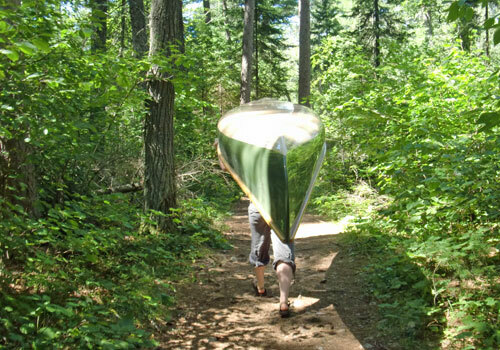 Portaging (carrying your canoe and your gear between lakes) is common. Portages are measured by an old surveying measurement called rods. 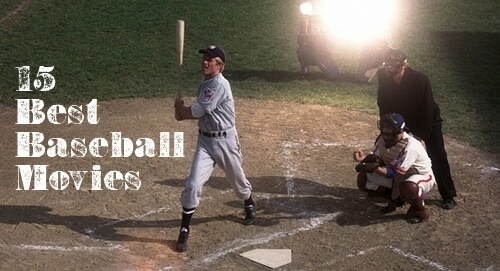 A rod is 16.5 feet, or 320 rods to a mile. Looking at the Boundary Waters maps you’ll see portages between 10 and 550 (ouch). The portages range from a nice, smooth path to a bushwhack through mud, rocks, roots, and combinations thereof. Black bears are fairly common, as well as moose, and if you’re lucky, even a wolf or two. 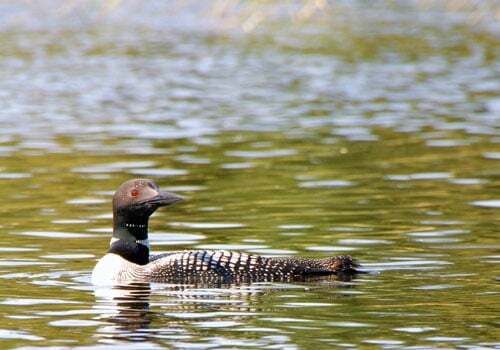 The Common Loon (the Minnesota state bird) warbles its haunting call at dusk and you know you’ve left civilization behind. During the blueberry season you can pick a full Nalgene bottle in fifteen minutes and eat them just as fast. 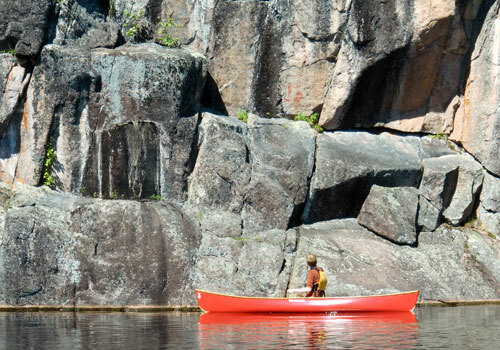 Both Quetico and the Boundary Waters are wilderness areas, but that doesn’t mean they’re empty. Thousands of people visit the area every summer, and some brave souls in the spring and autumn. Personally, I love autumn as there are no bugs, fewer people if any, and spectacular colors as the aspens turn and the pines and spruces remain green. The biggest issue for travelers is the bugs. Biting black flies in early season can make your life miserable without netting and DEET. Same goes for mosquitoes, but as it dries out later in the summer, the bugs diminish. Once we get a good hard frost, it’s awesome. Campsites vary as to their bugginess, and staying in a camp with a breeze helps, of course. Then there’s the occasional leech. They’re harmless but creepy. 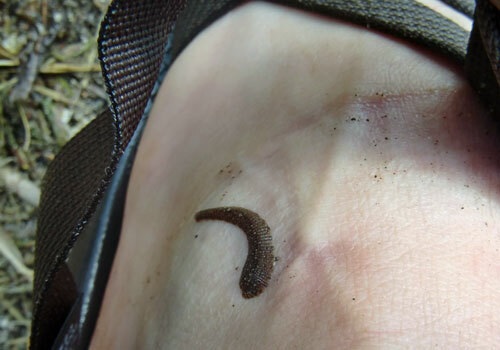 I’ve seen grown men cry like a baby when they find a leech sucking away. Throw salt or bug spray on them or just grab ’em and yank. It is easy for beginners in the area to get lost. Once you get into the interior, a lot of branches and peninsulas look exactly the same. Do not rely on a GPS; batteries die and electronics fail. The good news is that there is almost no declination adjustment with a compass, meaning true north and magnetic north are within a few degrees of each other. Learn to use a map and compass. Skill Level: Beginners are okay with shorter loops and help from an experienced paddler or a reputable paddling shop. Trip Length: Overnighters, to two or three week trips, are possible. Resources: There are numerous outfitters who can set you up from the ground up. A few with which I am familiar are listed below, and I know all of them personally and can vouch for their character. 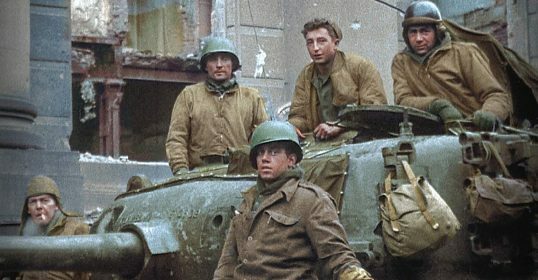 They don’t know I’m doing this. 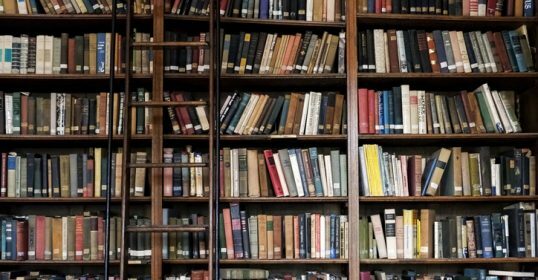 Another great resource is www.canoecountry.com. 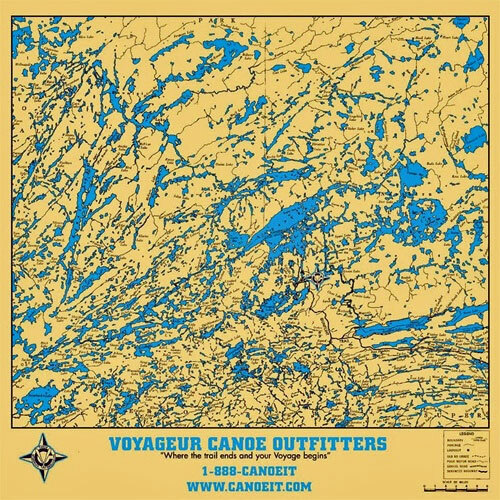 Here you can find maps and talk to other paddlers who have experience in BWCA/Quetico and love to share their knowledge. But thar be trolls lurking. Ignore them. This river is a classic canoeing river in one of the most remote areas in Canada in the Northwest Territories, just east of the Yukon. This wild river flows through the Nahanni River National Park Preserve, proposed and championed by Canada’s then Prime Minister, Pierre Trudeau. 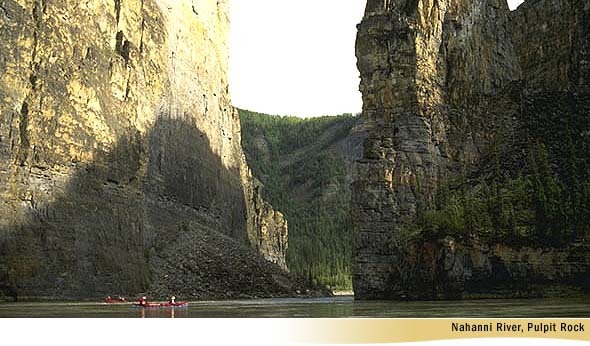 The Nahanni is an ancient river, cutting a path even when mountains rose and blocked its way. 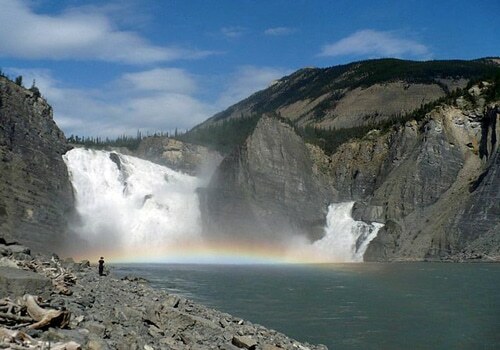 It features abundant rapids and waterfalls, including the famous (to canoeists) Virginia Falls. It also passes through four long, steep canyons, aptly named Canyon One, Canyon Two, etc. The walls of these canyons rise to over 1000 feet tall with little access to shore, making it an expert’s river if paddling in a self-guided group. Due to the unique nature of the geology of the river, the ecosystems surrounding it are a rare and special once in a lifetime treat. The river’s shores are home to abundant wildlife, including many species of threatened and endangered species. A rare species of orchid lives on the walls near Virginia Falls due to the considerable mist that blankets them. Surrounding the river are also caribou herds, grizzly bears, various alpine sheep and goats, wolves, and other macrofauna. It is paddled mostly in covered canoes due to the abundant whitewater. 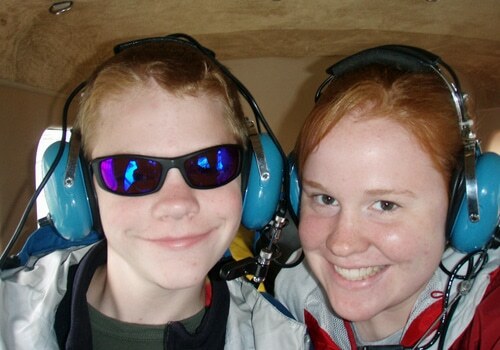 Because of its remote nature, access is generally by float plane and resupply is impractical (air drop), which means you are self-contained for one to three weeks. However, traveling by canoe means luxury. You’re not backpacking here, sonny. You sleep on thick, futon-like pads, eat fresh food (the fish are plentiful, and not smart to people yet), and sleep in nice, big tents. Because of its remote nature, it is an expensive trip, costing several thousands of dollars, even if you guide your own trip. Float planes are expensive, but the payoff is that less than 1,000 people a year visit this gem, so your opportunity for solitude is unparalleled. And kids really like float planes. Skill Level: Expert, though beginners in good physical shape can do this trip with a guide. Length: One to three weeks, but if you’re going to spend the money to get there and have the time off, go for three if you can. Guide services are available through Blackfeather Guide Service (www.blackfeather.com). 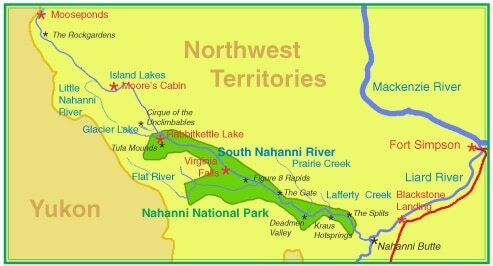 They have been running trips on the Nahanni, and their owner, Wendy Grater is one of the most experienced guides I know. And no, she’s not paying me to say this. What’s a National River? 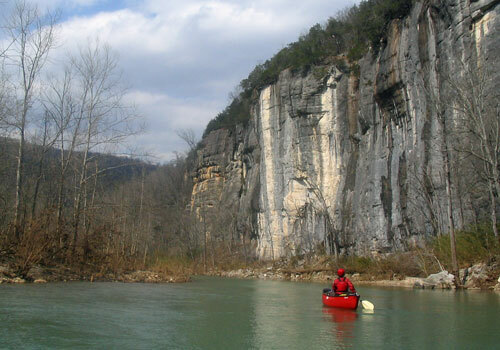 Starting in 1972, the Buffalo River in Northern Arkansas has been protected from development, industrial uses, or any other use that might change or affect the river’s ecosystem. Managed by the National Park Service, the 132-mile Buffalo changes personalities as it travels its course. The upper sections are extremely technical and beautiful whitewater, suitable only for expert paddlers. 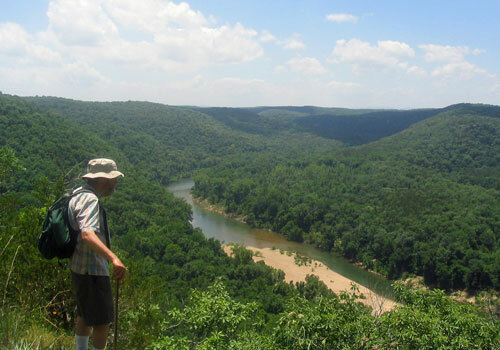 The topography is unique due to its location in the southern Ozarks. Hundreds of caves dot the riverway, and waterfalls and springs feed into it. That’s a good thing, as water levels are important in determining the ability to paddle. Low water exposes sand bars and high water can flood the river making it dangerous. This is one place where it’s critical to watch the weather. 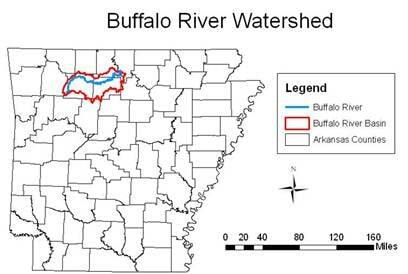 Of all the rivers described here, the Buffalo has the most variety in flora and fauna. An elk herd was introduced in 1981, joining the deer, turkey, feral hogs, and a host of other macrofauna. Hundreds of species of wildflowers live along the river, bringing an explosion of color in the spring. Camping is available along the riverway, both in established park service campsites and on sand bars. If you need a place to paddle in late spring or early fall, the Buffalo is a great place to get away when other northern paddling destinations are frosty. Skill Level: Whitewater over Class II requires specific equipment and the skills to use it. The lower sections are suitable for beginning paddlers. Length: You can do different sections in short runs, but the entire river can take six to ten days depending on water levels. You can also email my friend Richard at [email protected]. Seriously. He loves the Buffalo River. Any of these rivers are within a man’s reach. All that is required is an honest appraisal of your skills, your equipment, and the patience to do your homework. The journey starts with a dream; the important thing is what you do after you wake up. After all, happiness is a loaded down canoe.